Here is the pictures of three U.S. Senators. It is David Perdue, Marco Rubio and Johnny Isakson and they all want sanctions on Haiti. As per news dated April 21, 2016, three U.S. Senators David Perdue (R-GA), Johnny Isakson (R-GA), and Marco Rubio (R-FL) have expressed their growing concern with the political situation in Haiti and have urged the U.S Secretary of State John Kerry, in a letter dated April 15, 2016, to use every tool at his disposal to ensure Haitian authority works closely with the Interim President Privert and the new CEP and completes its presidential elections process by the agreed upon deadline by April 24, 2016. The authority must punish those who plan to disrupt the election for their own interest. The election as a whole has cost about $80 million in which the United Stated had invested more than $30 million and a lot of diplomatic effort. 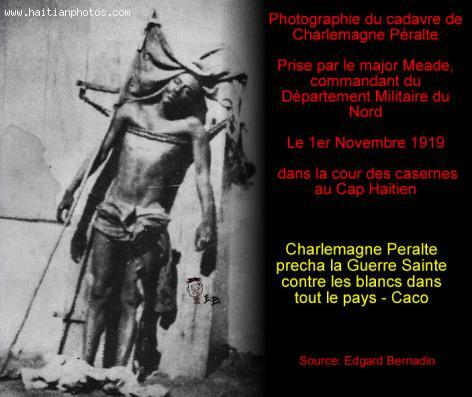 Here is a picture of The body of the leader of the Haitian revolution, Charlemagne Péralte. His death at the age of 33, made Charlemagne Péralte a martyr for the Haitian nation. His death was caused by a betrayal from one of his officers. 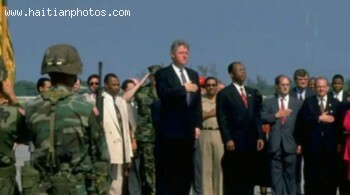 This is the picture of Elie Lescot, a former Haitian President. 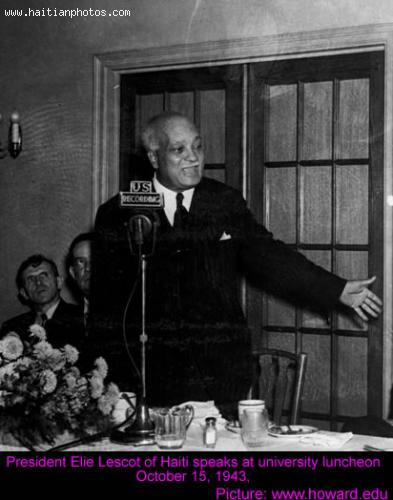 He is seeing here during a reception in United States. 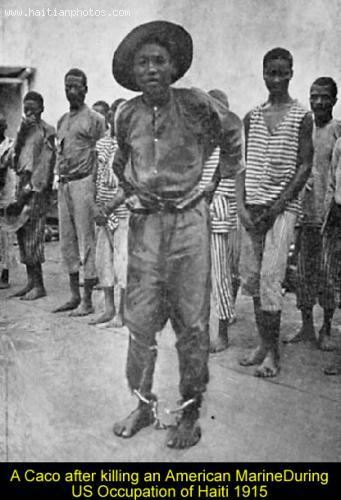 After his return from France, during the United States occupation of Haiti between 1915 and 1934, and held various positions in the government of Louis Borno and Sténio Vincent. 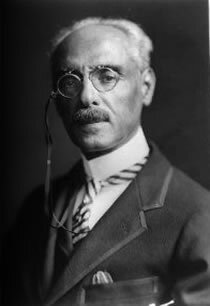 Here is Eustache Antoine Francois Joseph Louis Borno, Haitian politician who was President of Haiti from 1922 to 1930. 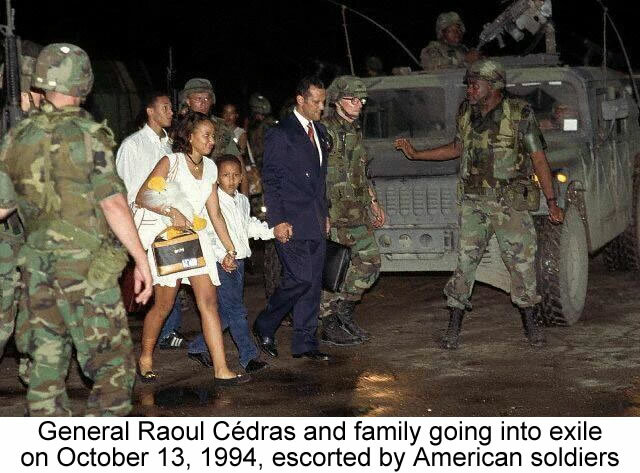 He served during the period United States occupied Haiti. After a Haitian mob killed President Vilbrun Guillaume Sam in 1915, in the legation of France, where he had taken refug, U.S. troops landed in Haiti. They organized the election where , Philippe Sudré Dartiguenave, became president. Borno was appointed Minister of Foreign Affairs under President Joseph Davilmar Théodore. One major event that Louis Borno was involved in was his refusal to cede financial control of the country to the United States. The United States responded by confiscating the reserves of the National Bank of Haiti. History of Canada interference in Haitian affairs. 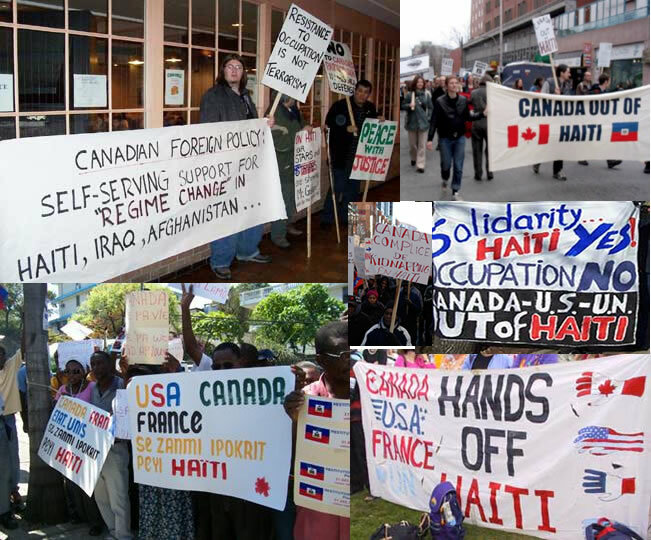 On March 1, 2016, Concertation pour Haiti (Consensus for Haiti) asked Canada not to interfere in Haitian affairs. CPH (founded in 1994) is a grouping of civil society and individual members from Quebec that works to promote human rights and fundamental freedoms in Haiti. It reiterates its support for the Haitian population in crisis. In a note, the CPH has questioned on the involvement of the International Community in Haiti and has called for the respect of each country's national sovereignty. It has requested the Canadian government not to interfere in the ongoing electoral process. The Haitian population must be given the opportunity to determine their own affair without any external intervention. We might remember the initiatives taken by Canada, the U.S and France in 2004 which toppled the government of democratically elected President Aristide. Here is a picture surrendering the proble of citizenship faced by President Michel Martelly. US Ambassador Kenneth Merten declaring Michel Martelly a Haitian citizen. When in March 2012, the snowball rumor about Michel Martelly's nationality transformed into an avalanche, destroying his credibility to hold the president's office, then-U.S. Ambassador to Haiti Kenneth Merten (August 25, 2009 - July 20, 2012 ) came to his rescue. Merten said Mr. Martelly is not an American citizen and he does not have a U.S. passport. However, the Haitian legislature was not satisfied with that explanation. About one year ago in early 2011, a bogus U.S. passport was surfaced on the Internet that purported to be Michel Martelly's. Marten's assurances could not impress the members of a special commission of the Haitian Senate responsible to investigate politicians who hold dual citizenship. However, Martelly termed this citizenship controversy initiated by Senator Jean-Charles as "conspiracy", organized by people who can't believe Michel Martelly is going to be the country's President.